Beyond Insurance | Transform your agency into a more profitable and successful business model. Editor’s Note: In our previous post, we discussed what is a mentor and the important role she or he can play in your success. Now, in part two, we share advice and tips on how you go about finding this very special person. Know Yourself: Consciously think about where you are in your career, and where you would like to be. Assess what type of personality you have, and which personality types complement your style. Consider your strengths and weaknesses and define how a mentor might best guide you. Keep an Open Mind as to Who this Person Might Be: A mentor is someone who will help you grow in areas that are most important to you. This person is not necessarily your best friend, supervisor, or anyone with a high-ranking title, or even someone in the same business. It is far more important for you to look for someone who exemplifies the traits and skills that you want to adopt. Identify Where You May Find a Suitable Mentor: Good sources of mentors include your management team, industry association, online communities, and professors. You may also wish to consider people in your non-workplace communities such as retirees, local business leaders, and people associated with your hobbies. Know What You Want to Achieve from the Relationship: This is essential. A clear understanding of your purpose and the desired result will ensure that you find a suitable mentor. Without knowing what you wish to achieve, you will waste your time and that of the mentor. In the best of all worlds, it is not just you who will benefit from the relationship. The mentor will also see the opportunity for personal growth. Think About People Who have been Mentors in the Past: Whether purposeful or not, you have had prior mentors in the past. Think about people who have mentored you and the qualities that you appreciated most about them. Use these traits as barometers in determining the traits you desire in your new mentor. It is essential that you understand that the responsibility for your growth and development belongs to you, not your mentor. It is up to you to identify personal and business objectives such as work/life balance, professional presence, career advancement, and business development. You must also be careful not to assume that your mentor will be more actively involved than he or she is able. If you set unrealistic expectations, you and your mentor may be frustrated and disappointed. Finding the right mentor may not be easy. However, your search is worth the effort. The payoff is huge. As someone who serves as a mentor and protégé, I strongly recommend the journey. My mentoring experiences (as both a mentor and protégé) have enhanced my personal and professional development, and increased my sense of confidence and capability. 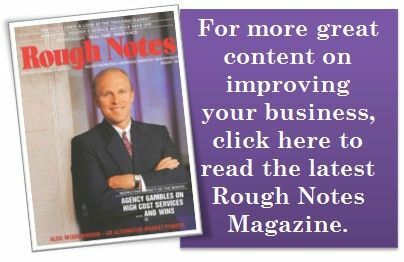 Your business associates, friends, family, the web, industry associations, and periodicals provide you with a flow of information regarding news, business trends, and opportunities. Industry analysts, business associates, and networking contacts share their expert knowledge. But only a mentor can truly share his or her unique wisdom with you. Mentorship refers to a developmental relationship in which a more experienced person helps a less experienced person, referred to as a protégé. The word itself was inspired by the character of Mentor in Homer’s Odyssey. Though the actual Mentor in the story is a somewhat ineffective old man, the goddess Athena takes on his appearance in order to guide young Telemachus in his time of difficulty. A mentor is someone with more entrepreneurial business experience than you have, who serves as a trusted confidant over an extended period of time. Why do they do this? First and foremost, as a way of giving back. They do it because they care about and respect you. They may do it to develop their skills as a teacher, manager, strategist, or coach. And a true mentoring relationship also works in both directions – the mentor learns about new ideas from you, just as you learn timeless wisdom from them. The mentor’s role is to provide an appropriate degree of challenge and support – emotional, technical, and tactical – so that you can build competence and confidence. The mentor is an information source supporting you with decision-making, problem-solving, and ongoing encouragement. His or her non-judgmental approach is most critical as your development hinges upon self-discovery. Bill Gates first met his mentor at a dinner organized by his mother. He thought he would have nothing in common with him, because he was just ‘this guy who picked stocks’. It turned out that they had more in common than he realized, and over the years, he would come to view him as his mentor. That man? Billionaire investor Warren Buffet. One of our favorite shows is “Shark Tank,” where some of business’s most successful investors, the sharks, offer invaluable advice, strategic partnerships, and mentoring to the business owners they back. Let’s look at a few of their perspectives that give evidence to the power of a mentor. As a mentor, Daymond John makes strategic introductions for his protégés and shows them how to apply his advice to their businesses. John recommends finding successful individuals who will speak with you on a weekly basis, such as a small business owner who operates a corner store and who is a pillar in the community. Lori Greiner points out that mentors will listen to your struggles but also provide totally honest feedback, something you may not get from your friends and colleagues at work. Greiner says that people will be flattered if they are invited to serve as your mentor. She suggests seeking a person you admire, someone who has qualities that you’d like to emulate in your business and in life. She emphasizes that you should look for a mentor who appreciates teamwork and collaboration. Robert Herjavec suggests listening carefully to successful business leaders, even when their advice is unsolicited or seemingly “off the cuff.” As a young entrepreneur, he was told by an unexpected source that his approach was unscalable. He decided that this was a learning opportunity, started thinking bigger, changed his business model, and acted on the advice. The decision to apply the lesson from a “mentoring moment” led to his ultimate business success. It’s not enough to have an ambition or dream. Demonstrate drive and passion to enlist the full, ongoing support of a mentor. Success in business comes from concrete business plans. Mentors will deepen their relationship with you when they see your plan and observe you making steading progress toward achieving results. Mentors will ask hard questions and expect answers. They want their time to be well-spent. Be prepared for meetings with your mentor. Mentors are your sounding-board and will provide support and candid feedback, but they won’t tell you specifically what to do. They can help you expand your network and perspective. However, it’s up to you to embrace and act on their advice. Now that we have a better understanding of what a mentor is and isn’t, it’s time to take the next step and begin your search for a mentor. Check out our upcoming blog post with advice on how to go about finding a mentor. Editor’s Note: In part one of our series on work/life balance, we looked back on this concept and how it can lead to burnout and stress. Now, in part two, we look at several strategies you can use to climb down from the tightrope and achieve your own work/life balance. Self Awareness. The first and most important step to achieving proper work/life balance is your understanding of the importance of mind, body and spirit. Being “aware” will allow you to monitor stress levels, see danger signs and take personal responsibility for your physical and mental well being. As your self awareness grows, you will gain a sense of confidence over work/life balance. Support from Family and Friends. In our great quest for balance between work and life, there is perhaps no more important attribute than your relationships with family and friends. Getting the family aspect of your life right will enormously help you achieve and maintain life to work balance. Support and encouragement from friends is also essential. As you embark upon strategies to improve work/life balance, begin by turning to family and friends. Nutrition and Exercise. Physical stamina is not a luxury in today’s fast paced business climate – it is a required element for high performance. Your mind and body cannot operate at full potential if you have poor nutritional habits. Exercise is also an important strategy to work off stress. Exercise is essential to being healthy. Choose an activity you enjoy. Possibly, one of your hobbies can be combined with an exercise program. Hobbies. You may be so busy with work that you no longer have time for hobbies. Having a hobby is essential to work/life balance. It lets you escape from the rigors of work to focus upon something you enjoy. Time completely absorbed in an activity unrelated to your business will do wonders for your productivity. It will also give your mind and body a well deserved rest from work. Recovery Strategies. Professional athletes plan recovery cycles into their intense training programs. They understand that their mind and body needs time to recuperate from strenuous activity. Work is no different. Your work/life balance plan should incorporate recovery breaks into your daily or weekly routine. These can be anything from a 5 minute walk at lunch time to dinner and a movie with family and friends to a weekend golf game. Sleep. Sleep deprivation is a major issue for people under stress. If you make it a habit to skimp on sleep, you may not even remember how it feels to wake up fully rested. Sleep is an essential ingredient to work/life balance. Make sleep a priority for a week and see how it impacts your performance. Stuff. For many people, it is the “stuff” in their lives that causes stress. Stuff runs the spectrum from unfinished projects to personality clashes with co-workers to a messy office. Too much stuff depletes energy and causes stress and anxiety. Stop and recognize all the stuff in your life. You will gain immediate confidence and clarity as you begin to remove the stuff from your life. Learn How to Say “No.” High achievers get ahead by taking on projects and handling them efficiently and effectively. Far too often, the same high achievers are the go to people in the office. It is logical. If a high achiever is so good at projects, let him or her handle more and more problems and issues. If you are a high achiever, you must learn to say “No.” Do not let someone else’s problem or responsibility become yours. Time Management. You have heard the term “time management” a thousand times. You may not have a time management issue. Rather, you have become so conditioned to multi-tasking that you have forgotten to do just one thing at a time. Your ability to focus on one issue at a time will reduce anxiety and stress. Rearranging Priorities. Work/life balance means having equilibrium with all priorities of your life. Please consider a simple exercise. List the priorities of your life from 1 to 5. Your priorities may include personal interests, family time, hobbies and exercise. Now, analyze the percentage of time you currently spend on these priorities. It is likely that you experience frustration from the fact that your priorities are out of order. Rearranging your priorities and designing a plan to measure progress is an important component of your work/life balance plan. Work/life balance is essential for a rewarding career. You owe it to yourself to make sure that the proper balance is in place. Work/Life Balance … Are You Walking a Tightrope? Do you have proper balance between your personal and business lives? Or, are the demands of your work infringing upon the quantity and quality of time you have with family, friends, hobbies and community? I work 60 or more hours per week. I have little personal down time. When I get home from work, I am exhausted. There seems to be precious little time to enhance personal relationships. “Fun” is no longer a word in my vocabulary. If you answered “Yes” to 2 or more of the statements above, you owe it to yourself to learn more about work/life balance. The term work/life balance first appeared in the 1970’s. The expression means having equilibrium among all the priorities in your life. It is interesting to note that state of balance differs from person to person. However, if there is little or no balance over an extended period of time, the vast majority of people experience stress and, eventually, burnout. Persistent stress results in fatigue, frequent illness, eating disorders, upset stomach, headaches, forgetfulness, sleep deprivation, aggravation and irritability with colleagues, family and friends. Research indicates that the workplace has become the single greatest source of stress. Let’s look at a handful of scenarios that create stress in the workplace. Do any of these statements belong to you? I have little impact or control over decision making. My expectations of work performance do not meet those of my superiors. There seems to be little opportunity for growth, development or promotion. My workload is very heavy, requiring long hours and infrequent breaks. My role is not clearly defined. The level of communication within my firm does not meet my level of satisfaction. I am involved in routine tasks that offer little or no professional stimulation. My work environment is unpleasant. Today’s intense, competitive business climate has created corporate cultures that demand more and more from agency principals, sales managers, producers, account managers, claim consultants, loss control specialists and customer service representatives. To get ahead, 60 to 70 hour work weeks appear to be the new standard. Work overload has been exacerbated by computer technologies that were intended to make our lives easier. Technology has allowed our clients to view the insurance and risk management profession as a 24/7 business making the achievement of work/life balance very challenging. In the early 1920’s, the average work week was 50 hours including a full Saturday work day. Soon thereafter, pressures were put on businesses to cut Saturday to half a day or have the day off completely. The ability to have two days of rest was unprecedented. However, by 1927, half of all employers adopted this new practice. This new practice was short lived. Beginning in the late 1920’s, advertisers persuaded Americans that happiness would not come from leisure rather from the purchase of commodities – the mentality of “consumerism.” Social scientists believe that this point in history radically changed the way Americans view life and work. A shift from scarcity to consumption was adopted – a state of being which has grown stronger over the years. In the 1980’s, the computer revolution increased the demands of employee output. It also brought new complaints of work/life balance related stress. The cases of stress and depression jumped dramatically during this timeframe. As an example, the number of workers’ compensation claims from “mental stress” rose from 1,844 to 15,688 cases in the state of California alone from 1980 to 1999. There was also a significant increase in workplace violence and absenteeism. Burnout is the last act of the stress cycle. Stress turns into burnout when one suffers a loss of physical and emotional resources too great to be replaced. When our coping efforts fail to produce results, we are prone to crash and burnout. Burnout triggers include overwhelming workload, lack of support and reward, loss of control and interpersonal conflict. The financial services industry is a main culprit of burnout. Pressure to perform in our industry requires significant time, energy and commitment. Conditions of burnout continue to rise at an alarming rate in the field of insurance and risk management. By now, you may be worried that your work and life are out of balance. Fortunately, there are numerous strategies that you can employ to help you regain your sense of balance. Part 2 in our series on work/life balance takes a closer look at many of those strategies. In our previous article, we introduced the concept of the 212⁰ mentality as a way to live life. In part two of our series, we take a more practical approach and identify ways in which you can begin to apply the 212⁰ mentality to your life. Through my professional career, I have taken great pride in living each day with a 212⁰ mentality. This has included, but not been limited to, how I have approached my dealings with clients, prospects, carriers, co-workers, centers of influence, and the community. Extra degree examples include the extra effort to research a business before the first prospect meeting, birthday cards, carrier appreciation events, going above and beyond when a claim occurs, and a steady flow of thank-you cards. The 212⁰ mentality is also core to the teachings of Beyond Insurance as well as the success of each agency within the Beyond Insurance Global Network (BIGN). That being said, I would like to share examples of how 212⁰ may help you advance your skills in a variety of ways. Great achievements in life just don’t happen. They are the result of dedication, determination and sacrifice. Commitment starts in your heart and soul. You must be prepared for obstacles and opposition. Commitment gives you the inspiration to carry forward even when confronted with tremendous challenge and turbulence. Your ability to handle pressure is essential to the achievement of 212⁰. Pressure can be both a positive and negative force. Pressure affects each person differently. Confronted with pressure, people weigh both the benefits of success and the pains of failure at the same time. When you are mentally tough, you stay focused and, most importantly, deal with adversity. Your desire to succeed must be stronger that your fear of failure. Motivation starts with a sense of purpose. It is rooted within your DNA. People find motivation in different ways. For some it is a mission to be accomplished. For others, it is fulfilling a lifelong dream. Often, this dream turns into a burning desire to reach a specific goal. Gratitude is an internally generated capability that enables you to create and discover meaning and value in every situation and relationship in life. Simply put, gratitude shifts your focus from what your life lacks to the abundance that is already present. Behavioral and psychological research gives evidence that the life improvements stem from an attitude of gratitude. Giving thanks makes you more resilient, improves your health, reduces stress, and strengthens relationships. Your ability to build deep, long-lasting relationships is a key ingredient to your success. Quality relationships consist of a blend of mutual trust, respect, and shared values. A 212⁰ mentality allows you to create relational capital — credibility, integrity and authenticity. Credibility is the quality that makes others believe in you, your words and actions. It is the outgrowth of professional competence. Integrity is being trustworthy in actions and character. It is the quality of having honest and truthful motivations. Authenticity is the quality of being genuine. It is about being who you are. Knowledge. Education, research, analysis, investigation, observation, and most importantly, first-hand experience. Skill. Your ability to effectively utilize this knowledge. Attitude. Your belief that you have the ability to control the outcome. The extra degree you apply in gaining knowledge and skill will improve your attitude and take you to new levels of success. Creativity is the act of producing new ideas, approaches, or actions while innovation is the process of putting an idea into action. Creativity is always the starting point for innovation. Creative people do best in an environment that allows them to invent, imagine, problem-solve, and create fresh ideas and concepts. Creative ideas emerge when preconceived assumptions are discarded and attempts at new methods, that seem odd or unthinkable to others, are explored. Empathy is best defined by the action of understanding, being aware of, being sensitive to, and vicariously experiencing the feelings, thoughts, and experiences of others. Henry Ford once said, “If there is any one secret of success, it lies in the ability to get the other person’s point of view and see things from that person’s angle as well as from your own.” An extra degree of empathy will enable you to become a better decision-maker, co-worker, and leader. Empathy will also give you a competitive edge over your competition. Your value proposition is your reason for your professional existence. It describes how you create value for others. Your ideal value proposition is concise and appeals to the customers’ strongest decision-making drivers. It is an irresistible offer, an invitation that is so compelling and attractive that the customer would be out of his or her mind to refuse your offer. The added heat you apply in creating your value proposition has unparalleled applications in determining your future success. Are the demands of work infringing upon the quality and quantity of time you have with friends, hobbies, and community? Are you feeling persistent stress as evidenced by fatigue, frequent illness, eating disorders, headaches, forgetfulness, sleep deprivation, aggravation and irritability with colleagues, family, and friends? If so, consider a 212⁰ wellness plan to create equilibrium among all priorities in your life. Your 212⁰ work/life focus may include, but is not limited to, nutrition, exercise, sleep, rearranging priorities, and time management. Servant leaders serve the people they lead. Their style reflects a selfless approach to leadership, one that places serving others as priority #1. Servant leaders understand that personal recognition is not the path toward team success. Their ego and individual goals do not get in the way of a larger picture of team goals. Truly great leaders go the extra degree in order to serve other people. They understand that you become a better leader by sharing whatever power and effort you have, not by saving it all for yourself. When you use your power and effort to empower others, your leadership will extend far beyond your grasp. In every aspect of life, one degree makes a difference. One – just one! Take a look at your life right now. No matter what you are doing, there is always room for that extra degree. The one that takes you from hot to steaming. Take a look at the results you are getting out of life. Where can you add that extra degree and turn up the heat…to change your life? Below 32 degrees, water is solid. Above 32 degrees, water is liquid. Steam powers machines that enhance productivity. Change in your life is dependent upon the level of heat you choose to apply. In the book 212°, the Extra Degree, Sam Parker and Mac Anderson convey that your continued application of heat (effort) to whatever activity you undertake will empower you to reap exponential rewards when you apply an extra degree of effort. At 211⁰, water is simply hot. While at 212⁰, it boils. In life and work, you are underestimating your true potential without the extra degree. The number 212 serves as a powerful metaphor to guide and shape the way you think, plan, and act. You grow as a direct result of your habits. And changing habits begins with a pre-determined goal in mind. Often, your effort to change does not reap immediate rewards. It is the consistent application of effort – the extra degree – that takes you out of your comfort zone to achieve extraordinary outcomes. If you remove heat from water, the temperature starts to drop. You have to start over as the momentum is lost. Heat has to be reapplied to get back to the boiling point. The more consistently you apply the heat, the faster you reach 212 degrees. Paul Stoltz, the originator of the Adversity Quotient (AQ) and PEAK Learning (www.peaklearning.com), is one of the foremost experts on human resilience – one’s ability to endure setbacks yet progress to the next level of success. An avid mountain climber, he believes that people fit into one of three types: (1) quitters, (2) campers, (3) climbers. Quitters find reasons why something can’t work. They are often bitter, resentful, and the loudest whiners. They retired twenty years ago but never told anyone. They tell stories about how great they once were, but something has taken its toll and now they define themselves as victims. Campers, on the other hand, have worked very hard to find a safe plateau in life. They admit that they have been aiming for a particular spot all of their lives, and now they have reached it and are content to just camp there. Stoltz’s research indicated that 80% of today’s business professionals are campers, and many managers are simply campground leaders who, likewise, have settled into a safe, shady spot on their career path. At some point on their journey, the toll became so great that they stopped climbing and sacrificed their dreams, goals, and aspirations. The good news is that inside every camper is a climber. Climbers never stop learning and growing. They are relentless in their pursuit of their goals in life. They inspire us because they see future potential. They have purpose and passion in everything they do. And they have a 212⁰ mentality. If you are a camper or a climber, the extra degree will offer you life’s highest reward – your potential. To achieve a specific goal, you have to define your 212⁰ outcome. Unlike water, each person has a different boiling point. I encourage you to visualize what 212⁰ looks like in a specific area(s) of your life. And once you determine what you want to achieve, put it down in writing and revisit it every single day. And assign a deadline(s) as to when you want to reach 212⁰. Highly successful people have mastered the art of 212⁰. They keep adding an extra degree, every day, and consistently apply heat. While they do not have a thermometer to let them know how close they are to 212⁰, their mind, body, and spirit sense that a major breakthrough is one step away and will be missed without the one extra degree of effort. Question 1 – How is achieving the extra degree going to positively impact my life? Question 2 – What will it take to get to 212⁰? Question 3 – Am I committed to make the necessary sacrifices to get there? Question 4 – When and how do I begin? Editor’s Note: Now that we understand the concept of a 212⁰ mentality, our next article in this series takes a closer look at living and applying the 212⁰ mentality to your life. Warning: living 212⁰ is not easy, but it is definitely worth it! The hallmark of a high performing insurance agency is effective sales management. It is, in many ways, a “gift” to the organization. We often refer to it as the Gift of Sales Management! This special gift is reserved for agencies who embrace and implement the following five interconnected elements of sales and sales management. The first link in the Gift of Sales Management is the organization’s value proposition. A value proposition is the reason for an agency’s existence. It describes how the firm creates value for others. It allows the agency to stand out in a crowded marketplace. When all members of the staff understand and support the value proposition, they become engaged and active contributors to the sales culture. Without a compelling value proposition supported by a unique process, the planning, development, execution and achievement of business development goals is an uphill battle. A unique value proposition in the form of a concise, clear and compelling statement that describes why a potential customer should buy a particular product or service, how it exceeds that of the competition and why it is worthy of the price they must pay represents the first link to Sales Management. The research of Beyond Insurance indicates that most agencies do not have a value proposition that explains the tangible results that their customers will receive, the unique benefits they bring to bear that others cannot. The Playbook represents the capabilities (i.e., plays) of an agency including, but not limited to, client acquisition, account management and quality assurance strategies, systems and tools. It is the second link in the Gift of Sales Management. In the game of football, the coaching staff and players spend countless hours studying their playbook. The playbook allows the coaching staff to design and set strategy to enable the players to achieve results within the framework of the system. 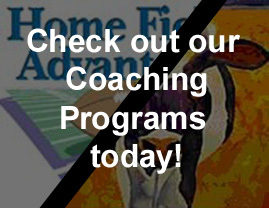 While the coach never gets on the field, he demonstrates and rehearses strategies to achieve success. When players execute a play properly, the coach rewards the performance. When the execution is lacking, the coach gives them a pep talk and reviews the play. There are occasions when the coach goes deep into the playbook to adjust the game plan in an effort to alter the outcome of the performance. When the game is over, the players and coaches analyze results so they can continue doing what they did right and learn from their mistakes. With the playbook, the coach is able to execute, motivate and win! High performance organic growth agencies understand the importance of play and skill development. It is for this reason they dedicate so much time to building their offensive (i.e., business development) and defensive (client retention/intimacy) systems. The third link to the Gift of Sales Management is a Prospect Identification, Qualification and Service Delivery Road Map. This critical component of a Sales Management System includes strategies to fill the pipelines, criteria filter to screen out “commodity shoppers” and a planning process which flaunts the agency’s unique capabilities. A focused and efficient Sales Management system effectively utilizes a referral network of loyal, enthusiastic clients and centers of influences to identify and screen prospective clients. These engaged and passionate individuals help the agency with prospect research, identification and qualification. They help the agency keep the pipeline full! High performance organic growth agencies are selective in committing and delivering resources and services to prospective clients. These firms reserve their resources and technical capabilities for prospects who have demonstrated a commitment to play the game under the rules determined by the agency. When it is determined that a prospective client meets the agency’s “criteria,” a Service Delivery Road Map is established. The Road Map is comprised of handpicked capabilities from the Agency’s Play Book. As mentioned, the Art of Sales – a person’s talent, competence and desire – is of significant importance to Sales and Sales Management. It is the soft skills of the business development team that give passion, purpose and energy to the sales process. Coaching and mentoring is an essential gift in the Sales Management process. With a system comprised of strategies and tactics, the Sales leader is able to maximize the performance of the business development team. The final link in the Gift of Sales Management encompasses the organization’s ability to monitor the results of the sales system. Critical indicators include, but are not limited to, activity based performance, sales funnel forecasting, quality new business appointments as well as the hit rate. These key performance indicators allow the firm to benchmark the effectiveness of the sales process and achieve results measured against targeted goals and objectives. Of particular importance is the quality and quantity of prospects in the sales funnel. The funnel/forecast review enables the sales leader to gauge the efficiency and impact of the Sales Management Process. In today’s challenging business environment, an organization must be relentlessly committed to success indicators and fact-based data. It is this discipline that drives performance. The Gift of Sales Management is awaiting you and your team. Go get it!